Our first holiday to Rajasthan in NW India, and one that didn't disappoint. 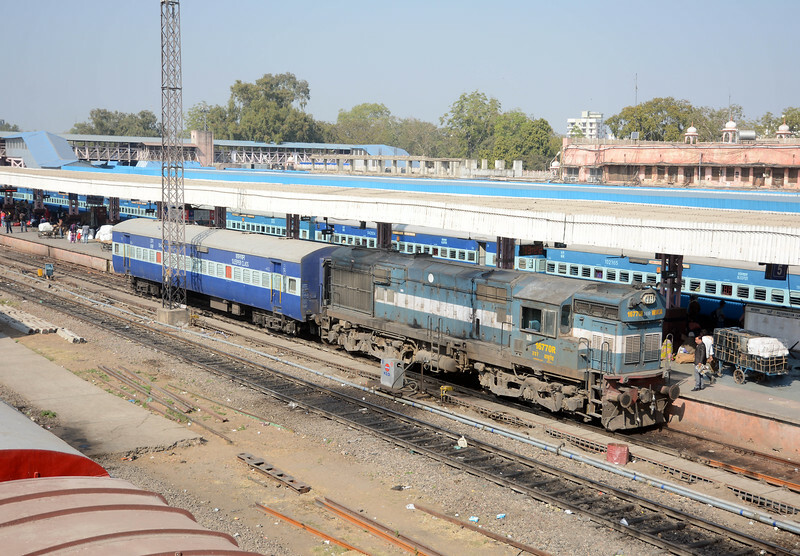 As usual we rode a number of trains; 12015 The Ajmer Shatabdi Express from Delhi to Jaipur, 12468 the Leelan Express (also called the Jaipur Bikaner Intercity Express) from Jaipur to Bikaner and finally the Ranakpur Express (train 14707) from Bikaner to Jodhpur. On the Shatabdi we rode in splendid air conditioned luxury, on the Leelan we were in what IR call a Chair Car, in reality non-AC reserved second class and finally in a 2AC (two tier air conditioned) day/sleeper car on the Ranakpur Express. Unlike our flights our trains were more or less on time, the Leelan actually pulled in to Bikaner Junction 15 minutes EARLY, much to the surprise of the representative from the travel agency who was to meet us!